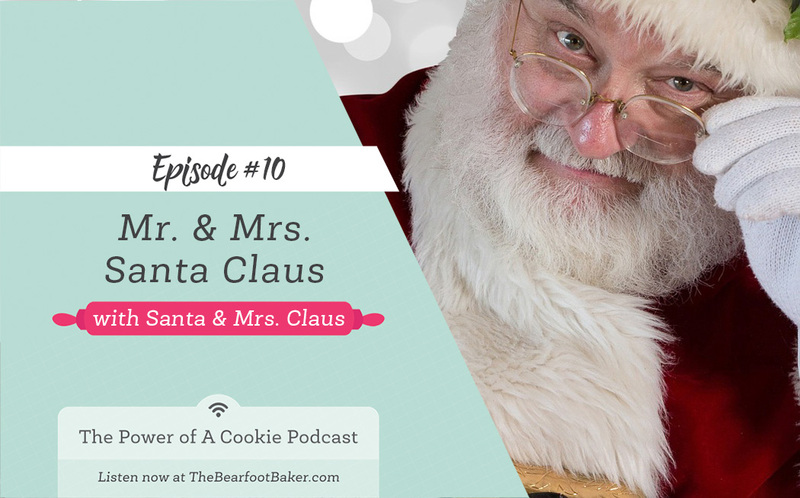 #10 Santa and Mrs Claus – Merry Christmas! Happy Holidays everyone! I wanted to wish you and your family a very Merry Christmas so I invited Santa and Mrs Claus to join me. We hope you and your family have a year full of laughter, love, peace, and joy! Thank you so much for inviting me into your home and allowing us to share our love of cookies together. I honestly don’t know if you will ever know how special you are to me. Seeing how you use your kindness, your love, and your willingness to make the world better is one of the greatest gifts I’ve seen. Thank you for using your talents to make the world better. Santa and Mrs Claus worked out the time in their busy schedule so they could stop by to announce the winner of the KitchenAid Mixer contest. Do you know who won? Santa and Mrs Claus, it’s time to tell us who won the KitchenAid Mixer! I know you all want to know who won the KitchenAid Mixer so let’s get to it! Louanne Bertrand – What a generous give-away! I’d love to win a mixer in ice. Congratulations Louanne! I hope you bake up a lot of love with it! Santa is so busy working with the elves to finish making all the toys and carefully packing them in his sleigh, so Mrs. Claus and I asked the postal service to deliver it to you so you’d get it before Christmas. We know how important it is to have a good mixer for the holidays. Especially one in the Ice color you chose! It’s so pretty! Thanks everyone for entering and I’ll be back in 2018 with more chances to win cookie things! WOW! I can’t believe I won! Thank you, Lisa, for such a generous give-away! So exciting to hear Santa say my name, and don’t worry Santa, there will be plenty of cookies and treats awaiting you and the reindeer! I loved listening to The Power of a Cookie podcasts – so inspiring! Merry Christmas to all! It’s such a joy to listen to the Podcasts, learn new cookie techniques and be a part of the sharing that is the foundation of Lisa’s website. Many blessings to all of you during the holiday season and New Year. Congratulations Louanne! What color are you going to get? Merry Christmas! Thank you, Nancy! I’m getting ice. I fell in love with the color when I saw it in the Great British Bake-off tent. Merry Christmas!